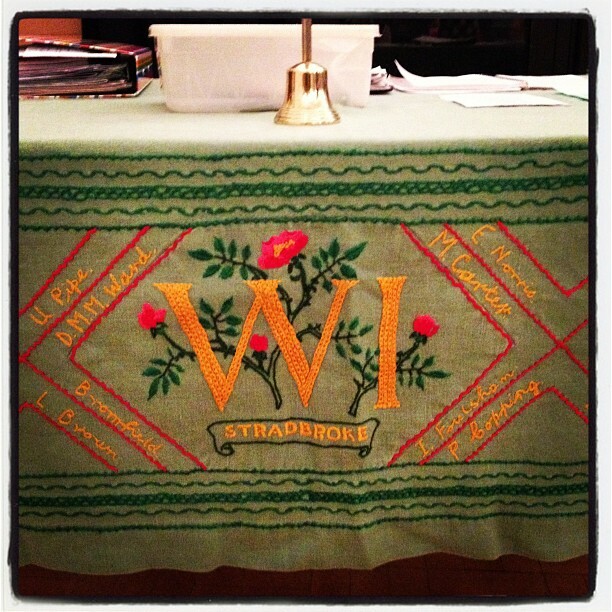 Last night my wife Claire and I gave a presentation to the Stradbroke Women's Institute (WI) about social networking. I had described this earlier on Facebook and Twitter as "possibly the most terrifying speaking engagement of my life" although Claire had pointed out that I had never taught five year olds! Which is true. 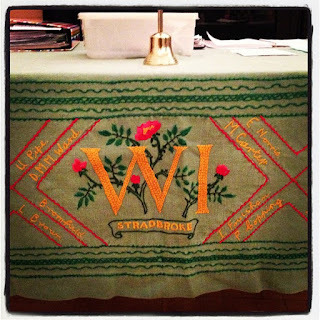 As you will not be surprised to hear I had never attended a meeting of the WI before so I guess this was another Suffolk village "rite of passage", a bit like joining the Parish Council and finding yourself talking about peacocks and milking sheds. I found the meeting interesting. Starting with singing the hymn Jerusalem and moving onto cake and a lot of talk about trips and then more talk about cake you might think this is Middle England personified but the WI have a little bid more of an edge to them than just that. We heard from one member about the success of a previous WI campaign to get more research money to study disease amongst bees which is a really important issue in sustainability. And this is the second time this year that this Blog has featured the WI, I published this photo (which I got from Twitter) of the WI's participation in the "lobby" of parliament to speak up against library closures. In 2000 Tony Blair was famously heckled by WI members at their conference which would have surprised nobody who had lived in a small village with an active WI! But far from heckling us the 25 or so members present were very welcoming, friendly and asked interesting questions. It interested me that all but three had computers and Internet connections and their Secretary talked about skyping a relative earlier in the day in a matter of fact way. Indeed three members were on Facebook and this WI was pretty typical of the demography you might imagine. I don't think that all of the members are going to rush off and get on Facebook and Twitter tomorrow but they seemed interested in knowing more about the services and a few members expressed an interest in blogging and putting more content on the Stradbroke website. We received some requests to provide some "hands-on" help doing this kind of thing. Having broadband now in the Community Centre - which is something the Parish Council have paid for made this session possible and will mean that we can consider running some drop-in sessions. Indeed longer term this kind of thing could happen in the Court House as plans for the Library and Courthouse hopefully become a reality. 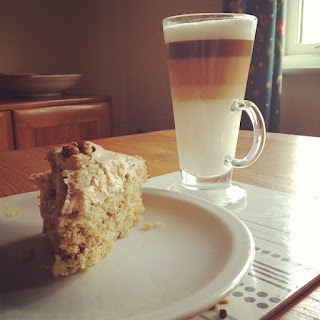 With computers there we could enjoy coffee (and cake) whilst putting content onto the web! I took the opportunity to upload a few photos onto Instagram from the meeting and a picture of the lovely coffee cake that we bought there. 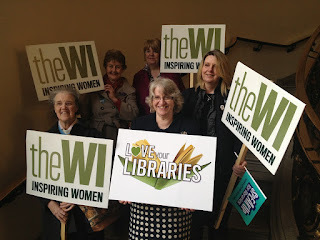 One thing the WI do brilliantly is cake and I approve strongly!